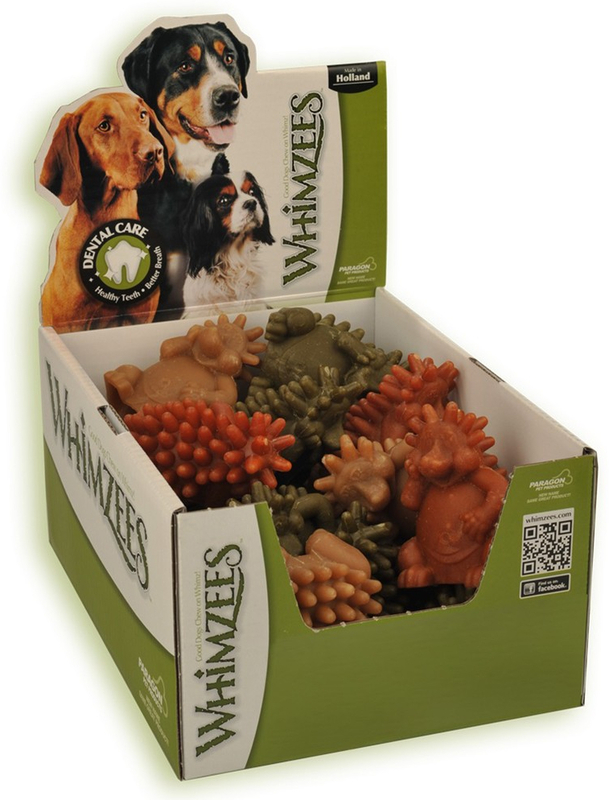 The Whimzees Hedgehog is a vegetable fibre based dog chew which is made only with natural ingredients. The texture of these gluten free chews help to remove plaque and tartar as your dog chews. Randomly allocated in either green, brown or orange. Below are some recent questions we've received regarding Whimzees Hedgehog Dental Dog Chew, including answers from our team. Why aren't they suitable for pups under 9 months old? Unfortunately, the manufactures have decided their product is not suitable for young dogs as it could pose a choking hazard.